Buy All-in-one Brother MFC 3820cn with CISS with CISS and make 30 times more quality prints for the same money! Pay only 0.04 USD for A-4 full color print! A new compact multifunctional device consists of color printer, scanner and copier with wireless Wi-Fi module. Multifunctional device has several slots, due to which you could read memory cards, moreover this device supports PictBridge function, that provides printing photos in lab mode directly from memory cards or digital cameras. Among the advantages of Brother printer MFC-3820CN is its high operation speed and high quality of printing photos, due to which this device became a perfect assistant at home or in a small home office. Printing speed up to 28 pages per minute for color printing. The operation of the printer is very handy, because you could find all the often used elements on the front panel. The drivers for printing and scanning are very simple and will not cause any problems in operation. You should also pay your attention to such models as Brother MFC-620CN and Brother MFC-3340CN the same models in this class. They have a lot of functions. By buying Brother printers MFC-3820CN you will get a good assistant for the whole family, especially for a schoolchild or a student for their studying. In this multifunctional unit you could find all the necessary functions for home usage. This MF scans, makes copies and prints photos and takes a little space of your working area. The mechanism of Brother MFC-3820CN wireless inkjet all-in-one printer is based on a separate four-color printing system. 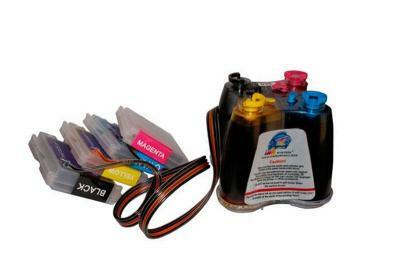 All the cartridges are fixed in the case and connected to the printing head via special flexible tubes, through which ink is supplied. MFD has a high printing quality and a high level of ink savings due to its draft quality printing mode. Brother MFC-3820CN provides scanning images to USB data stick and memory card directly, without any connection to computer. Print, make copies, scan different color documents and photos with this multifunction and stylish device at home. Printer MFC-3820CN has a card reader and a second wireless Wi-Fi interface. Many users had the possibility to evaluate the functionality and usability of the device in such cities like New York, Washington, Boston, Detroit, Chicago. A lot of them bought this wonderful assistant. Sheet Weight - Paper Tray (max/min)	17-32 lbs. Minimum Input for ADF (Width/Height)	3.5"/5"
Max Input of ADF (Width/Height)	8.5"/14"
Carton Dimensions (W"xD"xH")	22.4" x 21.9" x 18.1"
Carton Weight (lbs)	30.9 lbs. Unit Dimensions (W"xD"xH")	17.6" x 17.8" x 13.9"
Unit Weight (lbs)	23.1 lbs.